The Perfect Gift – A Small Black Piano For Christmas! An acoustic piano is among the most memorable and cherished gifts you can buy for a loved one. As well as an instrument, a piano serves as a stunning piece of furniture, and will remain in the family for years to come. A compact upright piano can sit beautifully in the corner of a cosy room, or you can make it a statement piece in a larger room. There are many models to choose from, of varying sizes and cabinet finishes. 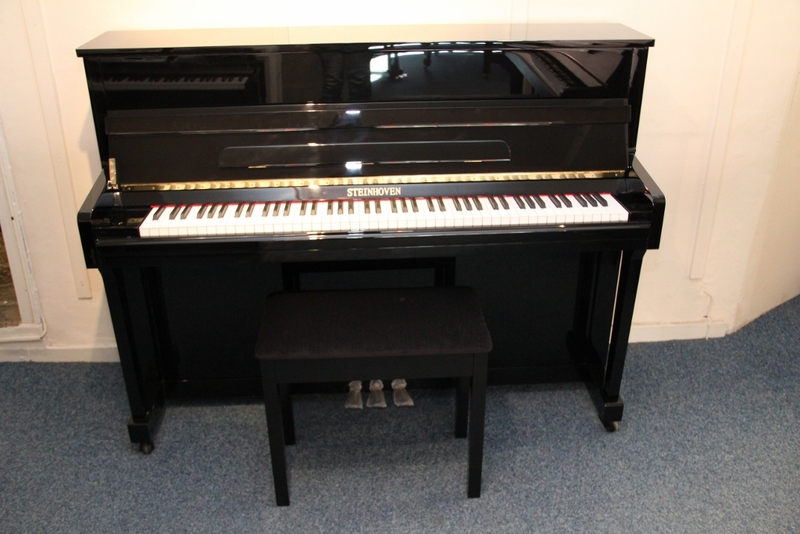 You can buy a new shiny black upright piano from us, for as little as £1,995. Our upgrade option means that if at any time in the future, you want to upgrade, we give you your MONEY BACK (less the VAT which is already in the price) against another piano. This amazing deal is available for a limited time only. We can offer delivery in time for Christmas, and even gift wrap if requested! This entry was posted in Black polyester, New pianos for sale, Upright pianos and tagged black shiny piano, new piano, pianos for sale, steinhoven piano by The Piano Gallery. Bookmark the permalink.